Here's a look at our new CSV loader to quickly present available space, tenant locations or rent rolls in Google Earth. 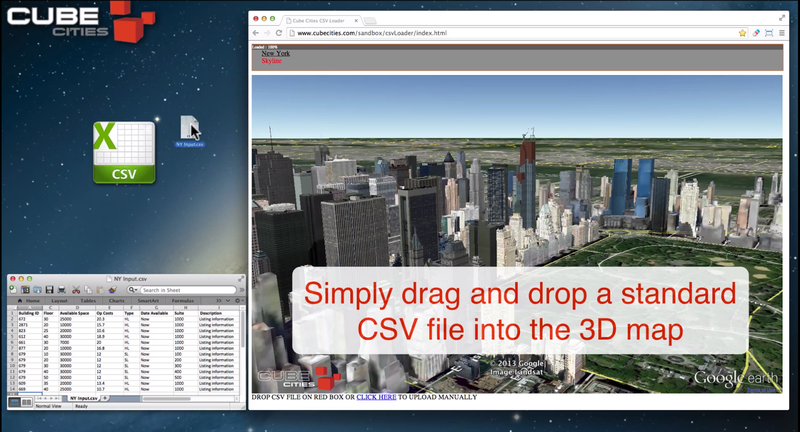 Click here to learn more about how to use the Cube Cities CSV Loader. It's the fastest way to present space options in 3D.